Nairobi, 10 August 2017 - Through innovative use of a crowdsourcing platform aimed at improving official response to incidents, technology company Ushahidi’s monitoring of Kenya’s general election on 8 August 2017, in partnership with InfoNET and The Constitution & Reform Education Consortium (CRECO), gave Kenyan citizens the means to report events impacting the election process. The tagline was “Linda Kura Yako,” (“Protect your vote”). The technology platform, known as Uchaguzi (“election” in Kiswahili), was born out of the violence that followed the 2007 Kenyan elections and has since been used to map election incidents in other countries, including the United States by the Obama campaign. 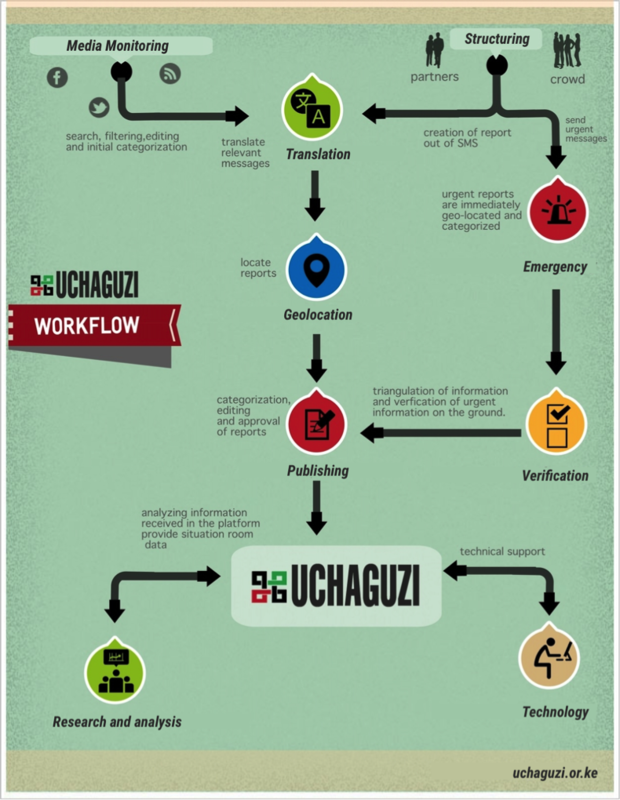 By August 9th, the day following the elections, Uchaguzi had received over 7000 reports from a mix of sources. Almost 63% came in via SMS, 4% from Twitter, and 24% from other web sources, including newspaper articles. Most reports came from Kenyan citizens with the rest coming from the Uchaguzi field observers and some 700 trained field observers deployed by CRECO. Of the 7000 reports, only 104 were verified as security issues. These included political party agents "acting in a hostile manner", perpetuating "dangerous speech", and instigating "mobilisation towards violence". The largest number of reports (425) were about positive events in relation to the management of polling stations and people being pro-active about exercising their democratic right to vote and calling for a peaceful election. Some 325 voting issues were reported. Ushahidi analysis indicates that the picture of election day events provided by Uchaguzi is one of a generally orderly voting process devoid of major acts of crime and violence, in spite of voter turnout being in excess of 15 million. Once the polls were closed, 291 reports about counting irregularities were received, along with 266 reports on polling station administration. Many of the reports attributed the irregularities to the challenges of using the KIEMS system, observers not being allowed to witness the counting process, late tallying of results due to technical issues, and party agents refusing to sign off the final results declaration forms. Uchaguzi also received a number of reports around protests over declared results, irregularities related to transportation of ballot boxes, and delays in IEBC officials announcing results at the designated times. Of all these reports, Uchaguzi escalated 136 to officials and election observers for immediate remedial action. An Uchaguzi volunteer handling the flurry of focused activity around one post reporting violence, wrote: “I’m so stressed, my hands are shaking.” Within 16 minutes, volunteers had pinned the report to the map, double-checked the information, and contacted the Uchaguzi field team, which escalated the report to the local authorities – who sent the police to investigate.